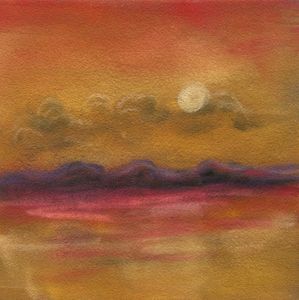 This red sky and mesas reminds me of the Cortez area where the Sleeping Ute mountain rims one side of the valley and Mesa Verde borders the other. 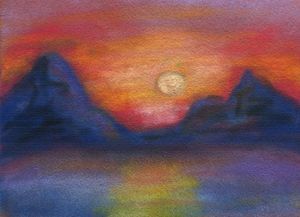 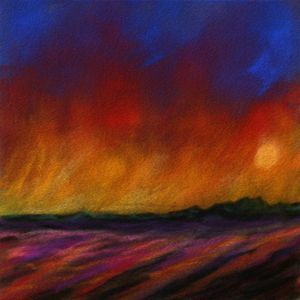 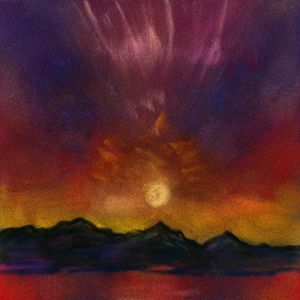 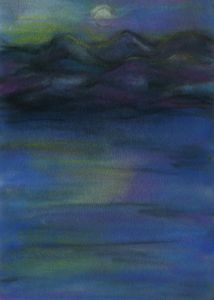 I painted the high horizon with white and blue mountains at the top next to the red sky. 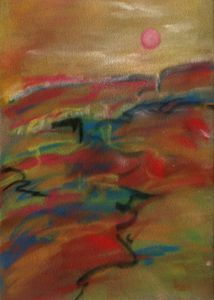 I enjoy letting the media dictate the direction of the painting doing its own thing as colors flow and react to one another. 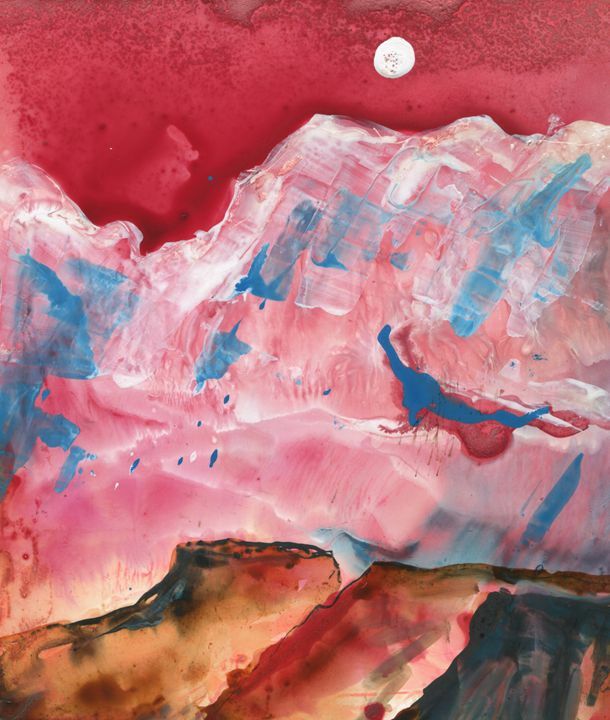 Here the acrylic ink and alcohol dictate the direction of the painting as the rust, red, blue, black, gold and white ink react to each other on the slick surface of Yupo paper. 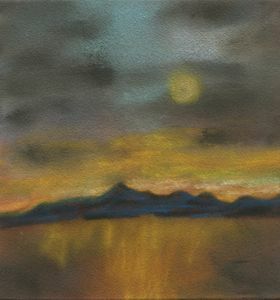 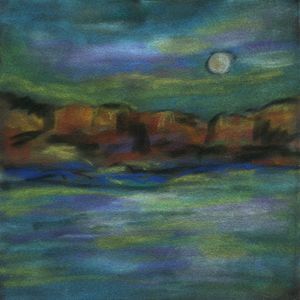 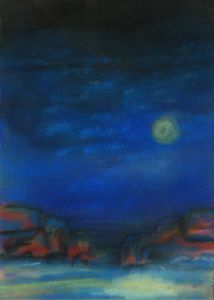 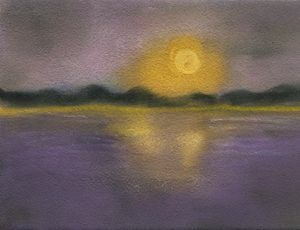 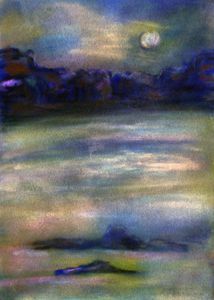 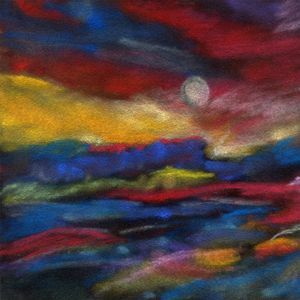 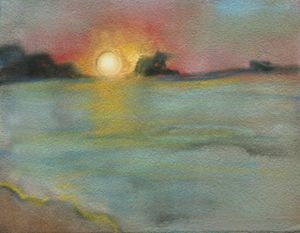 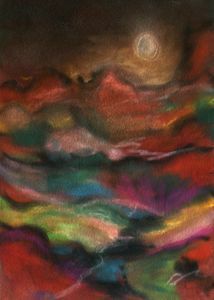 After the initial painting dries, a moon was added to the composition.